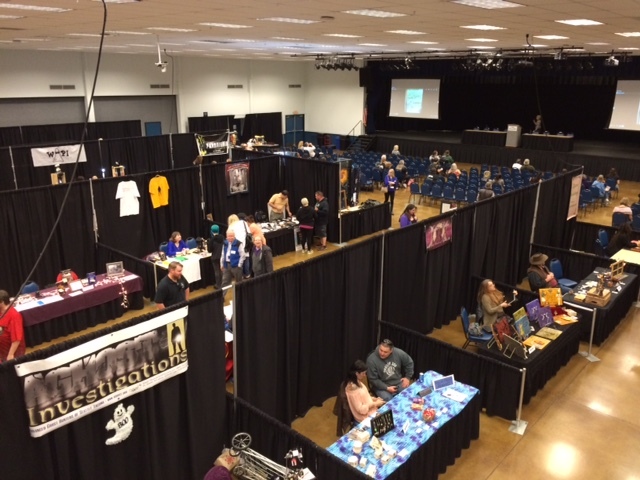 Be an Exhibitor/Vendor at the 2019 Oregon Ghost Conference! 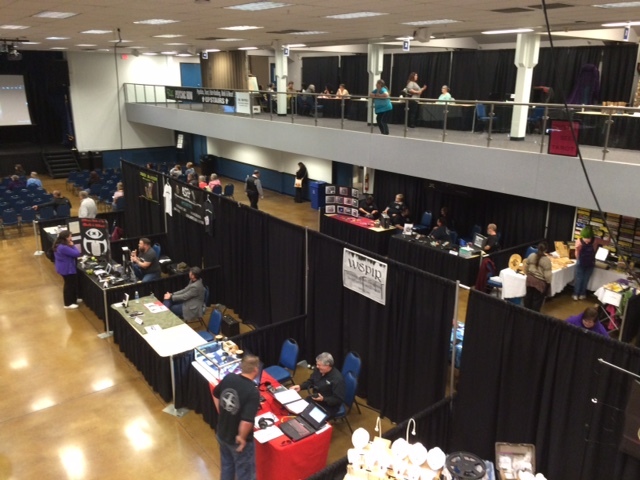 The Oregon Ghost Conference offers exhibitor/vendor booths to groups, individuals, businesses and organizations. 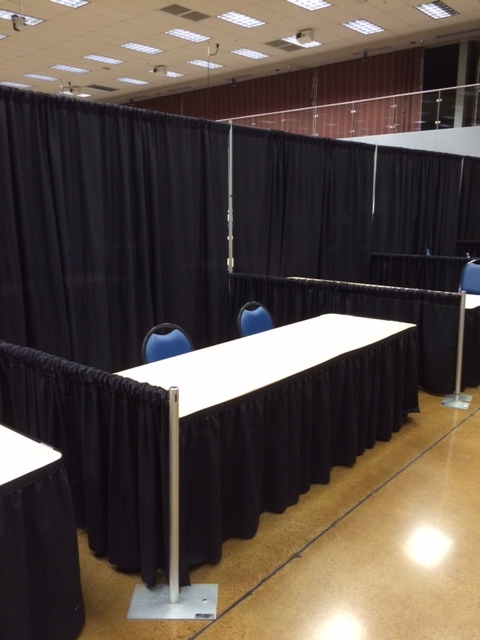 Booth spaces are 8' deep and 10' wide with 8ft pipe and drape on the back wall and 4ft pipe and drape on the side walls. Booth space includes 1 table 8'x30" and 2 chairs. All spaces include access to electricity, high speed Wi-Fi and 2 Admission Passes to the Vendor/Speakers Area for the entire weekend. Prices are listed below. a) Pay for your Exhibitor/Vendor space online below.